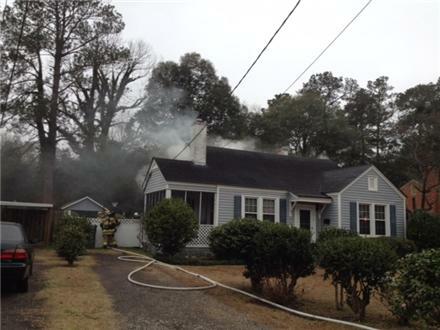 Firefighters rescued a woman from her burning home Tuesday afternoon on King Avenue in Florence, according to Ken Carr with the Florence City Fire Department. Carr said the woman was taken to the hospital for smoke inhalation. He added she was asleep and awoke to a home filled with smoke. The fire is contained, but there are still a few hot spots here and there, Carr said. Firefighters on scene still trying to determine what caused the fire. 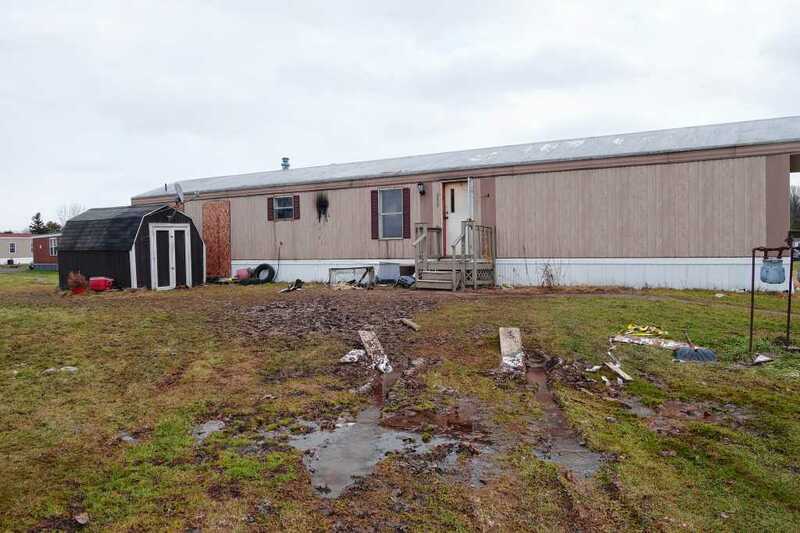 CLAY, N.Y. — As smoke billowed from a mobile home early Christmas morning, rescuers could hear a man inside calling for help. Michael Echeandia, 49, lay on his bedroom floor, unable to escape. An Onondaga County sheriff’s deputy who heard him tried to climb up through the window, but couldn’t get to Echeandia because there was too much smoke, firefighters said. Moyers Corners Volunteer Deputy Fire Chief Frank Crispin also could hear the man, but he, too, could not get to him safely. 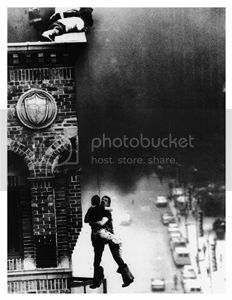 “Firefighters are on their way in,” Crispin yelled into the window, to reassure the man. Meanwhile, Deputy Chief Steve Zaferakis, and Firefighters Phil Vogt and Evan Bailey had forced open the back door, closest to the bedroom where the man was trapped inside the mobile home at 5409 Albury Court at Madison Village Mobile Home Park in Clay. But they couldn’t get in. All they could see was a cabinet, microwave and part of the ceiling that had collapsed. Firefighters never heard a smoke detector. Instead, a neighbor smelled smoke and called for help at 2:29 a.m. Christmas morning. A fire in the kitchen started to grow. As soon as the firefighters opened the front door, the fire took off, they said. Flames spread rapidly, across the kitchen walls and ceiling, into the living room. Zaferakis and Vogt quickly entered through the front door and crawled from the family room, through the kitchen to a short corridor and into the bedroom as the fire spread throughout the home. Crispin and Firefighter Zack Snyder were just behind, spraying water from a hose to try and extinguish the blaze. Zaferakis and Vogt opened the bedroom door. Echeandia was now semi-conscious in the smoke-filled room, but not sure of what was going on, Zaferakis said. The firefighters quickly shut the bedroom door and reassured Echeandia they would help him get out safely. Vogt smashed the bedroom window while Zaferakis lifted Echeandia off the ground. Together, the firefighters carried Echeandia to the window and passed him to Firefighters Josh Hildreth and Tim Richards. But before they had lifted Echeandia out the window to safety, Moyers Corners Volunteer Fire Chief John Perkins calmly spoke into his radio: Two more people may still be trapped inside, he told firefighters. While Snyder continued to extinguish the fire from inside the front door, Crispin crawled down the hallway and into another bedroom. There, he found, 31-year-old Justin Smith, unconscious and face-down on the bedroom floor about 15 feet from the front door. Crispin rolled Smith over and tried to drag him out, but he quickly realized he needed more help. It took a team of four firefighters — Firefighters Ryan Whitmore, Jeremy Corsaro, Crispin and Capt. Mike Hoosock — to carry the unconscious man out. Another crew of firefighters, meanwhile, continued searching the mobile home for a possible third victim, but never found one. 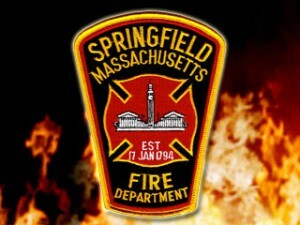 Within 15 minutes of the neighbor calling in the fire, firefighters had rescued the two men and extinguished the fire. But Smith wasn’t breathing when firefighters brought him outside. Hoosock and Whitmore immediately took off their breathing masks and began CPR. They continued compressions for about five minutes until an ambulance arrived. Just before the ambulance pulled up, the firefighters felt a pulse. 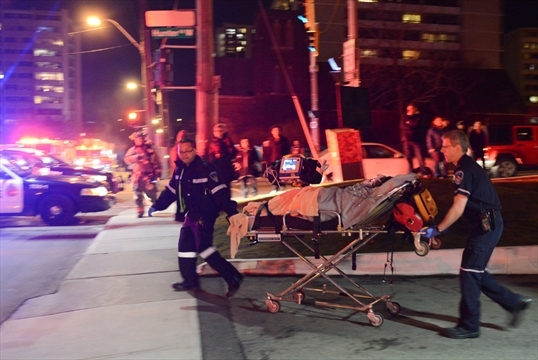 A group of firefighters carried Smith — still unconscious — to the ambulance. Emergency medical technicians and paramedics rushed Smith to Upstate University Hospital in Syracuse. A second ambulance then took Echeandia, who was conscious and breathing, to the same hospital. COLORADO SPRINGS, Colo. – The Colorado Springs Fire Department said two men were rescued from a burning home in a southeast side neighborhood Tuesday evening. One of the men was critically injured in the fire. The other man is in stable condition. The fire happened Tuesday night in the 4000 block of Colony Hills Circle. Firefighters said one of the men was rescued from the basement of the home while the other was rescued from the first floor. They said below zero temperatures were causing the fire engines to freeze up. ST. LOUIS, Mo. 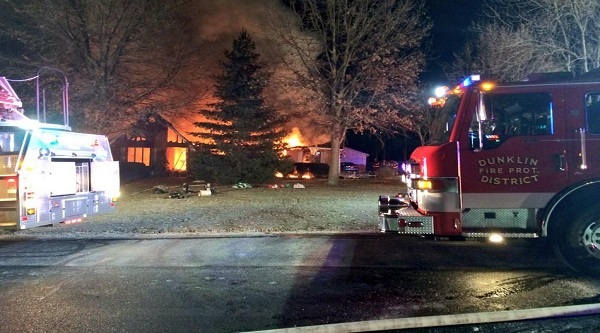 (KMOV.com) — A house fire in Jefferson County early Monday morning injured two people. 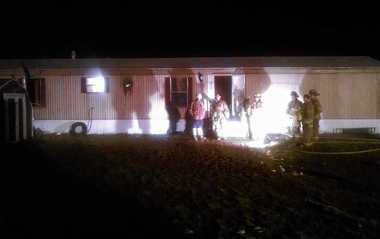 That fire broke out inside a home in the 100 block of Sunnybrook Drive, near Festus, around 4:30 a.m. Heavy flames were seen coming from the home. 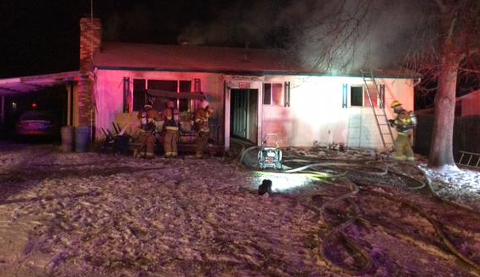 When firefighters arrived, a 62-year-old women alerted the crews that two people were inside. Firefighters were able to enter the home and bring the two victims to safety. Medical helicopters flew both victims to a St. Louis hospital, where they are listed as stable, Chief Gary McClain of the Dunklin Fire and Rescue told News 4. The chief believes the cause of the fire was the home’s furnace. The chief noted that due to the cold temperatures, fighting this fire has become a challenge. Water has been brought to the scene by tanker trucks due to not having fire hydrants in the area. 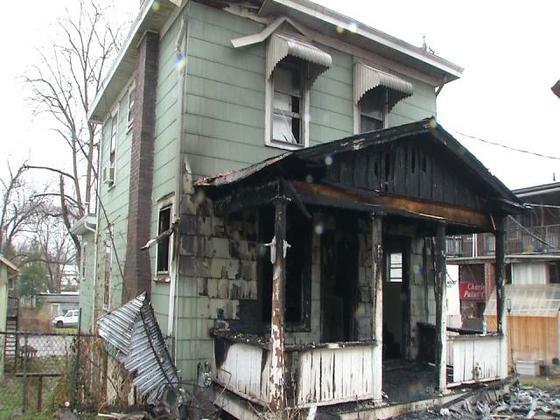 CHARLESTON, W.Va. — Charleston firefighters save two people in an early morning Charleston fire is ruled as arson. “When they got on scene, the front of the house was pretty much involved with fire and they also got a report that two people were entrapped,” said Assistant Chief Time Roe with Charleston Fire Department. Charleston firefighters responded to the home on Delaware Ave. about 4 a.m. Sunday. Crews were quick to knock down enough flames to rescue a man and a woman trapped in an upstairs apartment. “They were semi-alert and conscious. The first one they had to carry out. He actually went down so the rescue company had to carry him out. The second victim they were able to kind of lead out,” said Roe. The fire happened very close to Adrian Wright with Dem 2 Brothers and a Grill. “Hopefully it was just an accident, the building caught on fire. I hope nobody set it on fire,” said Wright. However, investigators do believe someone did start the fire, which almost killed two people who are now recovering. Charleston police said they do have a person of interest, but so far no arrests have been made. The damage of Sunday’s tragedy is obvious, but this fire wasn’t the only tragedy of the week. “They found her in there dead on Friday,” said Wright. Police said a woman renting a downstairs apartment was found dead just days before the fire. The owner was on scene Sunday to change the apartment locks and she was clueless about the fire. The owner and many people in the area said it’s a weird series of events to make one question someone’s intentions. “Here it is Christmas just passed. The first of the year is coming and you come to find one of your love ones dead, it’s crazy man. God bless the family,” said Wright. No arrests have been made yet. Anyone with information is asked to call police. 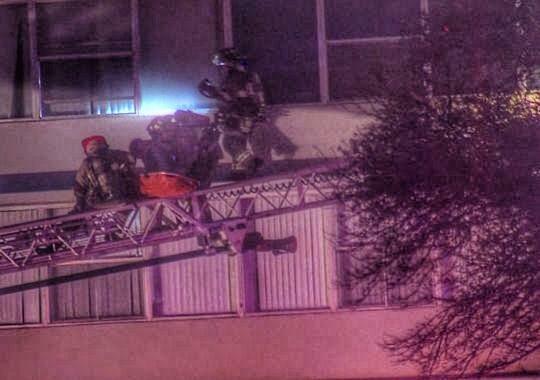 A fire in a high-rise apartment building for senior citizens left five people dead in suburban San Antonio, Texas on Sunday, fire officials said. 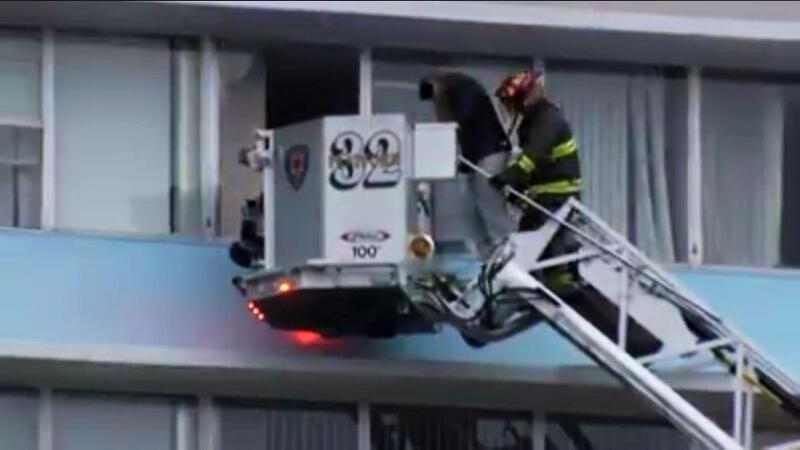 Firefighters used ladders to pluck some elderly residents from the upper floors of the 12-story building. Three patients were transported by ambulance to area hospitals, San Antonio Fire Chief Charles Hood said. “After looking at the floors, it is amazing that we did not have more loss of life,” he said. 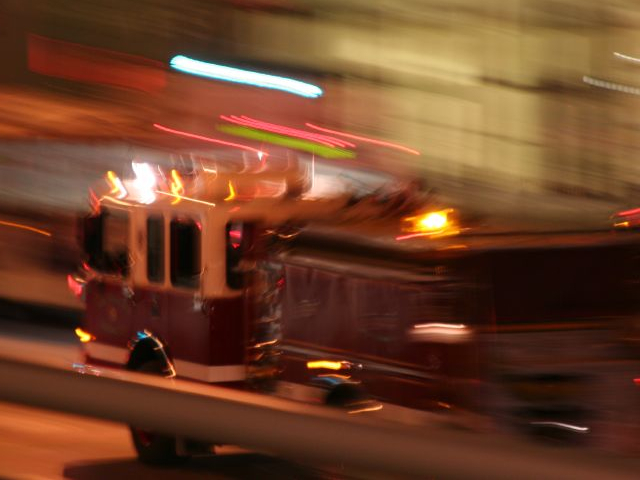 The fire broke out about 6:30 a.m. at the Wedgewood Senior Living Center in Castle Hills, a suburb surrounded by San Antonio. Hood said more than 160 firefighters from six fire departments were called to the scene. Firefighters immediately began rushing residents out and, in some cases, senior citizens had to be taken from their rooms by firefighters on ladders, he said. Hood said several hundred people live in the building, and many of them were able to leave on their own. A dozen San Antonio city buses were lined up in front of the building to provide shelter for the senior citizens from a steady rain and temperatures in the 40’s. A shelter was set up at a nearby high school for evacuated seniors. Hood said the damage to the third floor of the building, where the fire apparently started, was significant. Jerry Reidel, the fire chief in Castle Hills, said the cause of the fire had yet to be determined. SPRINGFIELD (WGGB) – One person had to be sent to the hospital after fire fighters pulled him from his Springfield home early Saturday. According to Denis Leger, Aide to the Springfield Fire Commissioner, that fire started in the basement of 125 Yale Street about midnight Saturday. Several of the home’s occupants were able to escape, but a 62-year-old man had to be rescued from the second floor by fire fighters. He was sent to Baystate Medical Center to be treated for smoke inhalation and was transferred to Boston’s Brigham and Women’s hospital. No word on his current condition. No other injuries were reported as a result of the fire, but a family dog was killed. Four people have been displaced by the fire, which is estimated to have caused $75,000 worth of damage. The Red Cross is assisting those residents. The Arson and Bomb Squad is investigating the exact cause of the fire. CINCINNATI — The quick response of Cincinnati firefighters saved the life of one Bond Hill resident shortly after midnight Saturday. Crews went to 4906 Paddock Road after a person called Cincinnati dispatchers to report a fire in the two-story, single-family home, the fire department reports. Once on scene, firefighters saw smoke coming from the second floor and heard an elderly man crying for help. The crew then initiated what they called an “aggressive victim rescue operation” and was able to pull him from the house. Emergency medical staff took the unconscious man to the University of Cincinnati Medical Center for treatment. The man was revived at the hospital, the fire department said. The fire that caused an estimated $12,000 in damage also displaced six people. 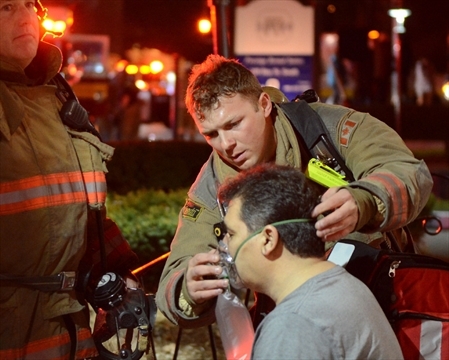 The Ontario Fire Marshal is investigating the scene of a high-rise apartment blaze which hospitalized a woman Friday night. She was rescued by fire crews from a Bay Street South apartment. Neither police nor the fire department could provide an update on her condition Saturday morning. “When crews arrived on scene, they found heavy fire and smoke from one of the units on the fourth floor,” said Fire Information Officer Claudio Mostacci from outside the 14-floor apartment building at 100 Bay St. S.
They entered the unit, rescued the tenant and left her in the care of paramedics before she was taken to hospital, Mostacci said. Damages were estimated to be $100,000. The fire, which broke out around 8 p.m., was quickly put out, but by around 9:30 p.m., firefighters were still on scene ventilating the building, which is at the corner of Jackson Street. Mostacci said two more patients, one male and the other female, were assessed for smoke inhalation. Some tenants were told to stay in their units because it was safer, but others closer to the fire floor were ushered out, he noted. A throng of emergency vehicles, including police cruisers and ambulances, clogged the corner of Bay and Jackson, while tenants milled around the lobby as firefighters ventilated the floors. When Clara Marchig heard the alarm go off, she looked out the door of her top-floor unit and saw a hallway thick with smoke. She called the superintendent, who told her to make her way downstairs. “I was feeling dizzy coming down the stairs, there was so much smoke,” Marchig said. “It was awful. It was awful,” she added.